Who Pees On The Peanuts…? Here we see a video by the lovely, profane, and lovely comedian Sarah Silverman, in which she tries to convince young Jewish voters to visit their grandparents in Florida to get them to vote for Obama. John McCain’s poll numbers are plummeting, so he’s now trying to run out the clock. He’s realized that the more voters see of him and his fulsome running mate, the worse things get. So he’s trying to take cover behind the financial crisis, trying to appear presidential by “suspending his campaign” in order to go to Washington and personally save the economy. To John McCain, this does two positive things. First, and probably most importantly, it gets him out of the line of fire for a while, he can pretend to a statecraft that doesn’t allow for the pettiness of campaigning and duck questions even more than he’s already been doing. He can put off a potentially disastrous face-off with the more charismatic and far more intellectually vigorous Barack Obama by “postponing” the first debate, hoping all the while that since time is so tight before the election, they’d never be able to get around to it again. Ideally, he’ll be able to get Palin out of having to debate Biden as well, if he can wrangle the schedule just right. Second, if he’s in Washington looking all serious and such for the cameras, once the bailout bill goes through, he can pretend he was integral to its passage. It’s not statesmanship, its photo op politics at its most cynical. In the process of starting all this, he’s already shown himself yet again to be an utter liar. Scheduled to appear on David Letterman’s show, he called the host to cancel, claiming he had to race back to Washington. Unfortunately for McCain, Letterman discovered that McCain hadn’t actually left by the time the show was taping, and was instead still in town sitting down for an interview with Katie Couric at CBS. If you don’t know Daniel Pinkwater, you should. He’s a marvelous, witty, and prolific writer, and a frequent commentator on NPR. I’m thrilled that he’s blurbing the Wildes. I watch commercials. Sometimes. I dislike the narrative disruption they bring when I’m watching a TV show or movie (though I almost never watch movies that are edited altered or interrupted anyway), but I do enjoy the wit and style of the really good ads. At times, they’re better than the show they’re disrupting (I’m sure there were a few examples of this during the last season of Heroes). Bad ads are generally just bad, hardly worth a cringe, made to scan past on the ol’ DVR. Recently, though, there are some ads that I consider abominations. They hurt me inside when I see them because of what they say about at least a segment of humanity. 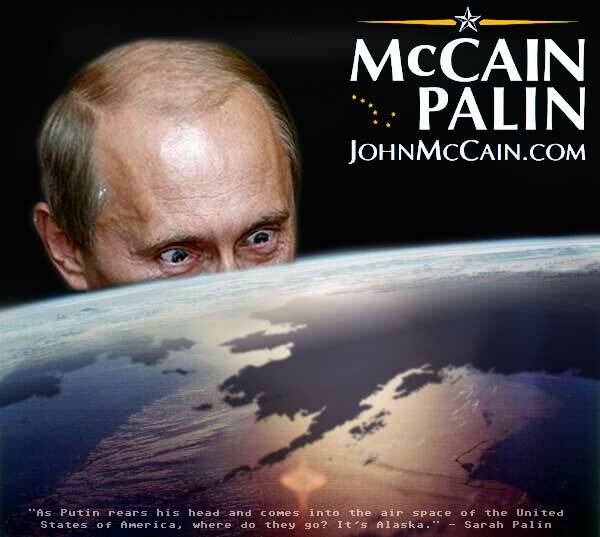 John McCain’s ads fall into this category, and, upon reflection, I guess a lot of political ads in the past have as well, but you expect Rovian tactics from Rovian politicians, and it’s easy to dismiss them. A cool new acquaintance (Hi, JoJo!) of mine is involved in improv comedy classes locally, and talking with her reminded me of what may be the single best piece of motivational writing I’ve ever read. So I decided to share.